Over recent years, concern about a coming hothouse mass extinction set off by human carbon emissions has been on the rise. Studies of Earth’s deep history reveal that at least 4 out of the 5 major mass extinctions occurred during both hothouse periods and during times when atmospheric and oceanic carbon spiked to much higher than normal ranges. Now a new scientific study reveals that we have already emitted 50 percent of the carbon needed to set off such a major global catastrophe. The primary driver of these events is rising atmospheric CO2 levels — often caused in the past by the emergence of masses of volcanoes or large flood basalt provinces (LIP in image below). In the case of the worst mass extinction — the Permian — the Siberian flood basalts were thought to have injected magma into peat and coal formations which then injected a very large amount of carbon dioxide into the Earth’s atmosphere and oceans. Higher atmospheric and ocean carbon drove both environmental and geochemical changes — ultimately setting off hyperthermal temperature spikes and ocean anoxic events that were possibly assisted by methane hydrate releases and other climate and geophysical feedbacks. The net result of these events was major species die-offs in the ocean and, during the worst events, on land. Considering the fact that present human activities, primarily through fossil fuel burning, are releasing vast quantities of carbon into the Earth’s atmosphere and oceans at a rate never before seen in the geological past, it appears that the world is racing toward another major mass extinction. In the past, the location of this dangerous precipice was a bit murky. But a recent study in Science Advances attempts to better define the threshold at which the worst of the worst mass extinction events — set off by rising ocean and atmospheric carbon — occur. The study used a relatively easy to identify marker — ocean carbon uptake — in an attempt to identify a boundary limit at which such mass extinctions tend to occur. And the study found that when about 310 billion tons of carbon gets taken in by the oceans, a critical boundary is crossed and a global mass extinction event is likely to occur. Presently, human beings are dumping carbon into the atmosphere at an extremely high rate of around 11 billion tons per year. Today, about 2.6 billion tons per year of this carbon ends up in the ocean. In total, since 1850, humans have added about 155 billion tons of carbon to the Earth’s oceans — leaving us with about another 155 billion tons before Rothman’s (the study author) extinction threshold is crossed. At the presently high rate of fossil fuel burning and greenhouse gas emissions from humans, that gives us about 60 years. This is true even if emissions levels remain steady and do not increase. If emissions increase along a business as usual pathway, we could cross that threshold by or before the 2050s. 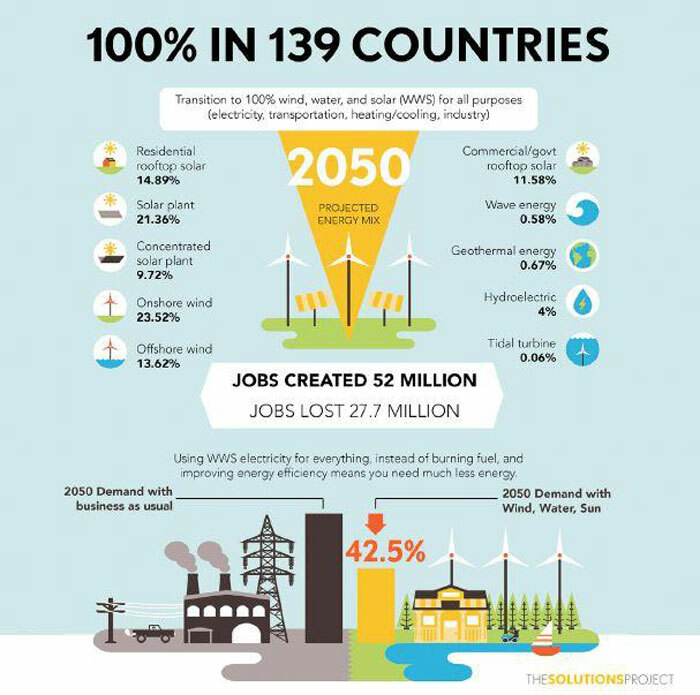 And under all present emissions scenarios identified by international climate policy, the 310 billion ton threshold is either closely approached or greatly exceeded by 2100. This should set off warning bells for global governments and climate policy advocates alike. What it means is that halting fossil fuel burning and transitioning to renewable energy needs to occur at rather swift rates — with annual global carbon emissions peaking within the next 1-10 years and then rapidly diminishing to zero — if we are to avoid a high risk of setting off another major global mass extinction. Of course, this does not mean that such a response will avoid harmful climate impacts — a number of which have already been locked in. Just that such a major response would be needed to avoid a high risk of setting off a catastrophic global mass extinction event equal to some of the worst in all of Earth’s deep history. The study notes that past major extinctions like the Permian occurred on 10,000 to 100,000 year time-scales. And that during these events the changes inflicted upon the global environment by major carbon additions to the ocean and atmosphere occurred too swiftly for organisms to adapt. The pace of human carbon addition is presently faster than even during the Permian — the worst mass extinction event. So if this very large carbon spike were to continue it has the potential to set off impacts as bad, or worse than the Permian and over much shorter time horizons. The study also notes that it takes about 10,000 years for the worst impacts of a mass extinction carbon spike to be fully realized. So hitting the 310 billion ton threshold by or before 2100 runs a high risk of consigning the world to many, many centuries of increasingly worsening climate impacts. On a point of information from your previous post, Robert, you mentioned damage now of 160 billion dollars for the 2017 huŕricane season However, Harvey alone is, as I understand, estimated at 180 billion, so the damage looks to be much worse. I’m looking at the official consensus estimates that tend to lag projections. Present top range projections for Harvey are in the range of 200 billion for that storm alone. Irma probably likely to top 100 billion in the end. Maria may be worse, overall, than Irma. Worth noting that damage assessments always tend to start smaller and grow over time as more and more reports come in. Hi Robert. The world wildlife fund figures for loss of invertebrate and vertebrate life, ocean and land indicate a terrible loss of numbers and species. I worked and lived in a farming village in north UK in the 1960s. If we had woken up one morning and seen the the bird and animal life at today’s numbers we would have thought we were in a strangely quiet nightmare. Even the common houseflies are almost non-existent this year. Whatever is happening in relation to technical extinction, the numbers of many wildlife species are collapsing. No one is saying that rates of extinction are not now higher than they have been in the more recent past. And yes, present multiple impacts are producing a mass extinction type loss even now. The current impacts include but are not limited to: habitat destruction, overhunting, toxic pollution, invasion by alien species and climate change. It’s just that the pace of this event gets much worse as the climate change signal grows — particularly in the oceans. And that by or before 2100, climate change alone is enough to produce a mass extinction on the scale of one of the five worst, if not the Permian or worse itself. Present extinction rates and loss rates of individuals, in other words are bad enough. If we keep burning fossil fuels, they get much worse. I’ll add that in the case of corals and coral reef habitats, the risk of mass individual die off has arrived now and that we could see a 90 percent loss of all the world’s corals before 2050. This is an example of a serious loss of diversity that would risk another mass extinction trigger prior to the 2100 timeframe. That said, even as bad as impacts would appear along the present path by 2050, 2100 looks considerably worse in any scenario that does not halt fossil fuel burning by or before mid century. So, yes, I will agree that the broad-brush study above does not hit a number of key details. Or even describe the terrible situation that is happening now. However, I think it is useful for looking at thresholds for the worst of worst case events and climate change outcomes relating to the most catastrophic losses of life on Earth. What I am saying is that what is happening now is terrifying to those of us who have worked the land. I don’t understand how the system is maintaining any kind of stability. The web of Life is clearly right now under great strain. It is no ‘straw man’ to experience the catastrophic loss of insect, bird and animal life. I appreciate the various factors- all a product of an over abundance of one species – I think we need to help each other right now with all we have….and by ‘each other ‘ I mean all life. Very sadly, it is a real effort to stay upright with the lack of forthright leadership, media amelioration and a scientific community that, in general, does not make it plain and simple. Thanks for all you do, dear Robert. I value this community. OK. I’ve got your particular experiential frame of reference, Godfrey. And I absolutely sympathize. I just want to clarify that as bad and rough and scary as all this stuff is now, it gets worse if we don’t do what you’re asking. Thank you for your own work in this regard. I’m very sad that the broader communication, thus far, has been both so narrow and so unconcerned. Yes. Transition of human awareness. So I’ve added a few clarifications based on our discussion. Here’s a quiz. Mankind started emitting greenhouse gases into the atmosphere in 1751. What year marked the period where we emitted half of the current anthropogenic CO2e? Most people I’ve asked guess 1940’s to 1950’s, and they’re shocked to learn the halfway point was crossed in 1988. That’s right, in just 28 years we’ve emitted as much greenhouse gases as the previous 236 years. I’ve never liked the climate predictions that go out to 2100. I think it creates a psychological “comfort blanket” that’s at the end of our children’s lifespans – near enough to cause concern, but far enough away to avert serious concern for most moderately informed people. In reality, BAU means there will be serious environmental consequences to be faced by the current generation of young people. Total agreement here with all of those points. Magnify concern ‘now’ not ‘then’ or ‘when’. With regards to this particular study, it doesn’t look to me like the 2100 reference point was one based on confirmation bias, just on consensus forecasting. You move the line back to 2050s range and you find that RCP 8.5 has already exceeded the threshold mark. So if one includes the ever rising amounts of Ch4 from clathrates and permafrost melting is it fair to suggest we will cross over the mass extinction boundary by or before 2050? I keep learning more and more about clathrate. And though clathrate is a potential driver of hyperthermal events, the primary driver of global mass extinction is carbon in the air and water. Direct carbon influence on the overall Earth system with regards to a larger hyperthermal (producing multiple potential follow-on impacts including but not limited to clathrate release) has a heavier, longer term impact. For example, the PETM likely exhibited substantial methane release, but the impacts to oceans were less than during the Permian. Net ocean carbon uptake was lower in the PETM than in the Permian. So the primary driver appears to be overall atmospheric and ocean carbon add. This is not to say that clathrate release did not play a role in hyperthermals. But that the ocean and atmospheric chemistry change related to net overall carbon uptake may well have been the larger primary driver of mass extinction intensity of the worst hothouse extinction events. More and more, if you’re looking for signal, you’re looking at net carbon addition. Methane spikes, however, may be catastrophic enablers of hyperthermals. But the bar you need to be looking at with regards to potential overall lethality of a hyperthermal is net carbon add to atmosphere and oceans. Note, some houses on stilts and above the flood line. Some of the houses appear to have floated — they’re displaced from the other houses and off-angle. “The individual trees in the Amazon rainforest play a crucial role in keeping the rainforest intact. Not just because the trees together create the forest, but also because – together – they create the climate (through something called the shallow moisture convection pump). Long article; worth the time to read in full. “….In a paper published in Land Use Policy this August, the Maranhão Amazon Forest Conservation Network urged the state government to establish a policy of zero deforestation and sustainable agroforestry to safeguard remaining forests and to better protect the states’ 6.9 million residents and improve their livelihoods. Beautiful photos of beautiful creatures and landscapes. Other than this ‘disturbance’, nothing over the horizon. A brief respite. Maria to last for at least 4 more days. 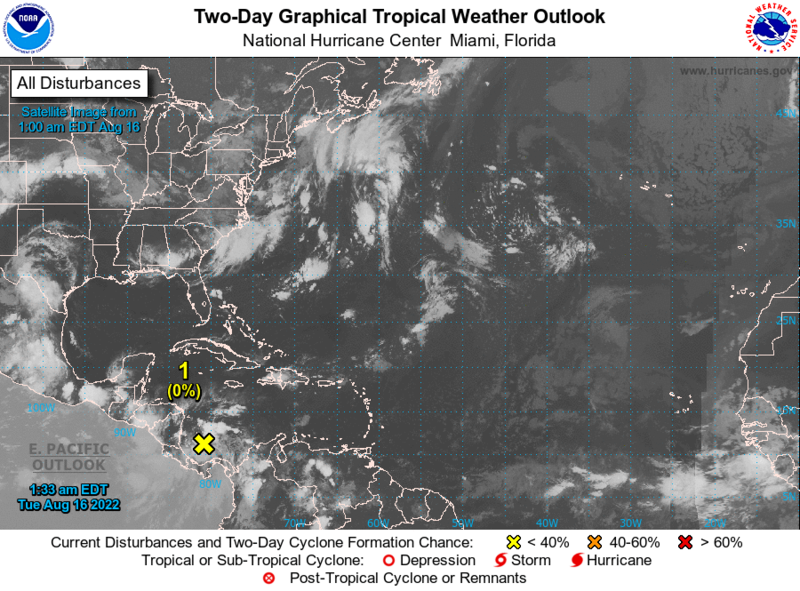 And we do have some large storms still firing over Africa. But it is nice to see that there’s not another one in the pipe at the moment. And Lee is back as a hurricane. WTH? ACE closing in on 200 for 2017. Wednesday at a slightly faster forward speed. Come Shell or high water. +1 Eleggua. You may want to register that. A 90 year old dam in Puerto Rico has developed a crack that threatens to unleash a man made lake that spans two square miles. 70,000 residents near by are being urgently evacuated. It’s given way. Footage of the breach. That looks like erosion at the bottom of an emergency spillway. Correct. My error; it didn’t fail. Similar to Oroville dam; overlowed and eroded the spillway. “The Caribbean island of Vieques, a former home to the U.S. Navy and now a popular tourist destination seven miles east of Puerto Rico, bore the full impact of Hurricane Maria. 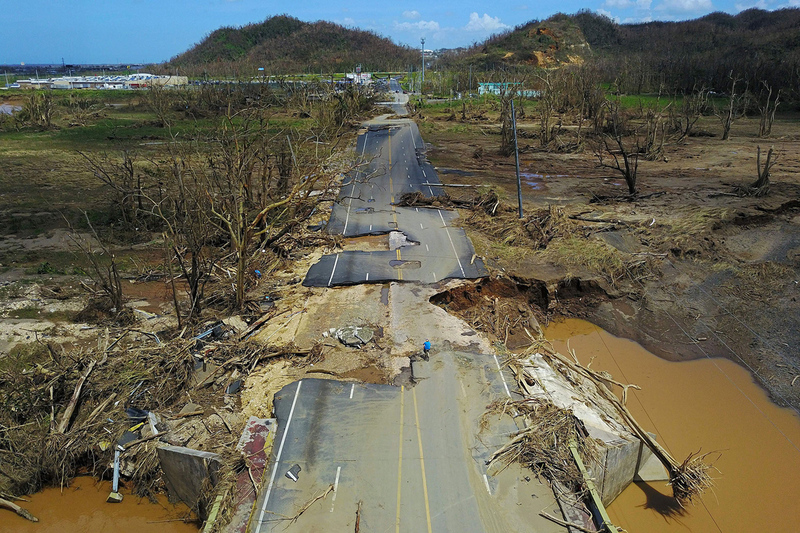 With the main island reeling from the impact, the tiny island and its 9,000 inhabitants face daunting challenges with widespread damage, cut off from air and sea deliveries. Off the grid: With cell and phone service down, I was contacted earlier today via satellite phone by Angie Adams, a longtime resident and a tour operator. She said that there was very little or no government help and the situation is desperate…. She and others are organizing direct shipments from the states to Vieques’ via Mosquito pier, a former Navy pier. A ship has set out from Florida, she says. The Vieques airport is partially functioning with a the control tower damaged. Same for the main island regional airport of Ceiba (former Roosevelt Roads Naval base) ― also has a clear runway but not fully operational. Some private planes are taking supplies back and forth. 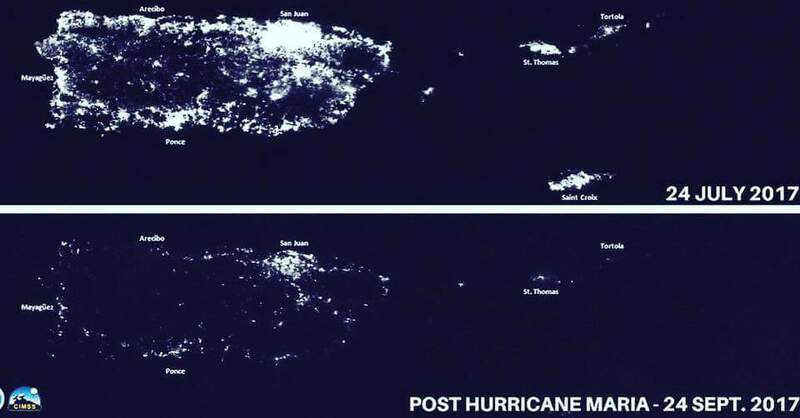 The island’s electrical grid is severely damaged. In normal times it has just 8 utility workers. She says it is urgent that electrical workers and communications workers come to the island. And she hopes that they can come directly to Vieques, perhaps via military transport. Driving to survey the damage, she says that virtually all the trees on the south side of the Island, facing St. Croix, have been stripped bare. Concrete structures (mandated after the catastrophic Hurricane Hugo) have remained largely intact albeit with many shutters blown out. The older wooden structures have been mostly destroyed, she observed today. Adams says that the storm hit the south side beach town of Esperanza with winds over 175 mph . It was heavily damaged with the access roads to the east of the town completely washed away, replaced with sand dunes. Other roads were being cleared…. Thank you for the report. Have people at various animal welfare orgs who are pretty worried. You’re welcome. Yes, one more tragedy amidst the multiplicity. Some good news with the potential more. “….Three years ago, The HSUS and Humane Society International (HSI) launched our Humane Puerto Rico program, to lift animal welfare on the main island and on the Puerto Rican island of Vieques…..
…Today, we sent a plane – one we usually commandeer for animal transport – loaded with supplies for people. We know there is great suffering, and we want to deliver some reprieve. Also, once people are able to meet life’s necessities and their personal circumstances are stabilized, they will be in a stronger position to provide care to animals in their lives and in their communities. Indeed, The HSUS cannot do this alone, and we need all hands on deck, led by caring individuals, especially our partners in human and animal welfare. In a disaster response, federal authorities are tasked with the monumental job of addressing critical human concerns, and in this case, where the needs are so great, we are prepared to take their lead. The average September maximum temperature for the town of Wilcannia in New South Wales is 23.8C. 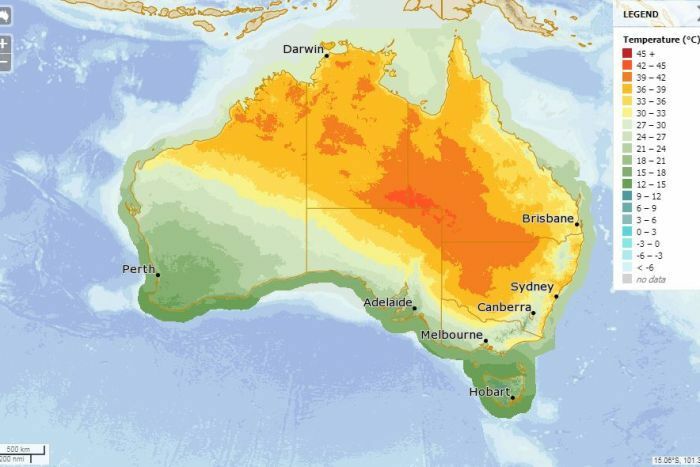 Today it hit 40.0C, breaking the state’s previous September record of 39.6C set in 2004. Maximum temperatures expected across Australia on September 23, 2017. It ended up getting to 40.5C in Wilcannia today (105F). 75 bushfires are burning across New South Wales and Queensland. It’s only September. There’s no El Nino. There’s not even a post El Nino dip. It just keeps getting hotter. And didn’t you all just come off the warmest winter in your history? And that was just the weather. The politics were far, far worse. Vic…I am in my 60’s, so have seen a lot…but boy oh boy, I think the world/civilization has gone round the bend. I grew up when most people “believed in science”…and in facts. Now, like some kind of virus…”alternate facts” and “conspiracy theories” have taken hold..and can be seen in our elected officials. Scary times. Scary times indeed Suzanne. The government here has just succeeded in relaxing our media ownership laws allowing the Murdoch regime to further tighten its grip on our “democracy”. I don’t know where it all ends. Surely it ends somewhere, somehow. Where it goes is an economic crunch for an Australia that’s over-invested in coal as China (Australia’s primary coal export market) rapidly transitions to renewable energy. Murdoch is playing into sinking the Australian economy by suppressing renewable energy. Australia, despite all the political nonsense, however, seems to still be adding renewables — which is very odd considering the present stance of the central government. In other words, it looks like Murdoch and others are failing despite all the political insanity they’ve inflicted upon the country. We actually appear to be heading into a La Nina. SSTs around Australia remain 0.5 to 3 C warmer than normal with the exception of the SW quadrant, which is about average for warmer than normal 30 year climatology (+1.5 C to -1.5 C). If you could please also give us your view on the present state of Australian politics, it would be very enlightening to those here. Warmest regards to you and best wishes! Talked yesterdayt with a couple of folks from the southeast of Australia, one in their 40s and the other over 60. They expressed concern re: the incredible heat of the past couple of years and the current heatwave. They are in favour of regime change in Austraila. “Regime change” was always a terrible excuse. Who decides? Where and when does it end? A terrible excuse for what? Who decides what? Where and when does what end? Not clear to me what your saying there. Abel, thanks for bringing this book to our attention. With regard to mass extinction events, I’m sure denialists will point to the fact that these things have happened in the past and will, in all probability, happen again. I haven’t seen any denialist say something smart for some time now. As to it happening before, it’s no reason for us to make it happening again. And b. then they would admit we are in a bad spot. The easily predictable is not worthy of more than a splinter of our attention. The denialists will, as usual, mangle the truth with half truths and outright falsehoods. Why pay attention to something that’s going to just keep putting out bad information? Listening to that stuff too much is a great way to pollute one’s mind. Exactly. We know what they’re going to spew: more garbage. Their nonsense belongs in the compost bin. This man is lost. We are only lost if we follow him into despair. And this is how an otherwise good person has been led to contribute to their own ruin. How this person is held captive by a harmful and twisted world-view. Such a view allows for no breath of clean air and only a glimmer or two of light in an otherwise darkened perspective. Such are the fruits of information dominance and misinformation — despair, hopelessness, continuing to follow false leaders. Obama did more to help this man than Trump ever will. The fact that he can’t see that is a clear sign of how effective some sources have been at misinforming large sections of America. A glimmer of light in an otherwise dark and lonely tunnel — he is at least aware that climate change is real (although he might still dissemble on whether or not it is human-caused). Thanks for the references, Donald. For general reader reference, it appears that the development of the Permian occurred in various phases as a result of the formation of the large igneous province in Siberia. The province spewed out carbon for about a million years with a peak intensity at about the time of the worst of the Permian Extinction. This event occurred over approx 60,000 years or so with the worst subset event developing over a few thousand years. In any case, the human pace is far faster even than this worst in class event. Nothing to see here…just move along. Happy Fall! Happy equinox, for what that’s worth. We’ve crossed the line of the seasons. We’ve seen much in these past weeks. It’s clear, there’s no ohter way forward but together. My father would be 100 years old today, suddenly I realize there is only 83 years to the year 2100, lots of danger lurking ahead not least increased heat effects on health. Before retirement, I used to work around the empty quarter in the U.A.E and Saudi and know the perils of surviving in the daytime desert without shade and an a/c containing vehicle. The perils are only going to expand areas and we will realize how frail we are. “We found that daily mortality increases by 1.8 percent for every degree above the threshold of 28.2 degrees Celsius, while daily hospitalisation – for respiratory and infectious diseases, for example – increases by 4.5 percent for every degree above the threshold of 29 degrees Celsius,” she said. That suggests increasingly hot temperatures could leave health systems overwhelmed by surging demand, she added. She worries that governments and the public are ill-prepared to deal with rising temperatures because of a general lack of awareness about how heat can impact people’s health. We are indeed terrible at evaluating risk. Vivid imaginations with which to amuse ourselves but a normalcy bias that trumps even the most dire forecasts from the scientific community. Your comment about your father’s age is why I cringe a bit inside when I see a pregnant woman these days. That seemingly distant future when Earth withdraws her welcome mat for humanity is squarely in the lifetime of a child born today. People only do things after they’ve already been hurt. Well, I haven’t been directly hurt by climate change in a way that I’m generally aware of (subtly, probably yes). I’m doing something. There are a good number of us here. What does that say for this assumption? That said, there does appear to be a larger tendency toward procrastination until the last minute. Since climate changes effects lag, the tendency for procrastination is a real trouble-maker. However, it appears to me that there are many regions that are being dramatically and negatively impacted and yet they are not responding. Houston and Fort McMurray are prime examples. Short term economic interests are, in these cases, outweighing survival interests that are becoming more and more immediate. In these cases, failure to respond more mimics the behavior of addiction and/or even those suffering from harmful forms of exploitation and dominance. The South would not relinquish slaves even when it was apparent that mechanized manufacturing and agriculture were going to render that form of abuse an economic loser. Just like slavery, fossil fuels have become inculcated in behaviors. They have become culturalized. That’s what happens with the resource curse. In other words, we have already seen a mass extinction caused by the burning of fossil fuels? Gingerbaker, Dr. Peter Ward, Paleontology professor at UWA and author of “Under a Green Sky” put the estimate of atmospheric CO2 leading up to the first extinction was 1,000 ppm over tens of thousands of years, We are on track to reach the half way point this century. Bingo. But the Permian took thousands of years to develop (approx 1 million years after the formation of a large igneous province in Siberia, though the most intense events related to it occurred on smaller time-scales — 60,000 years for the die-off and approximately a few thousand years for the worst of it — and the after-effects lasted for hundreds of thousands of years) — the peak rate of emission was about 6 – 10 times slower than the present human emission. The present issue will begin to occur, at current or projected rates of fossil fuel burning, after just 250 years or so +/- 50 (1850 to 2050-2150). Confident avoidance requires faster draw-down than RCP 2.6 scenarios. We have a window, but it’s relatively small and shrinking. Thanks for this, Guy. Adding to the links list above. Your work, to me, is very much appreciated. Warmest regards. Guy, that t-shirt looks nifty. Would like to see the entire image and find out where it might be available, please. Thanks for this, Greg. Have been working as hard as I can to get new info from Tesla RE the model 3. They’re sealed up like a clam at the moment. The negative Nancies are having a field day. But I think that’s probably playing in to Musk’s larger strategy. The numbers I’m looking at show Tesla at 190 per kw or less at this time. Thanks Robert. I’m a little confused with the dates because, two years ago, a group of biologists published a study claiming, with no doubt, that the 6th mass extinction is already underway. Here is an explainer article on the study with quotes from the study authors. And the study, which was published in the journal Science Advances on Friday and described by its authors as “conservative”, said humans were likely to be among the species lost. So who is right? The math modellers or the biologists? I wonder if, Daniel H. Rothman, never heard of that 2015 study or what. When I read it I went WOW! The world never even noticed. I would be interested and appreciative to hear your thoughts on this discrepancy Robert and the thoughts of the regulars too. I think robert addressed this point a bit further up in the comments thread. But yeah, if the biggest mass extinction event in the history of complex life on earth is a goal in a race, we’ve given ourselves a big headstart beyond the ‘half-way there’ in the title by triggering super high extinction rates, mostly through many other means than GW so far. Historically, climate change has been the primary enabler of mass extinction with the highest rates of extinction occurring during hothouse events. Present multi-cause extinction as a signal will tend to be lower than a worst in class hothouse extinction event under BAU if that extinction threshold is crossed this Century. In other words, it’s bad now, but if you keep burning fossil fuels it gets much, much worse. And while the present high rates are something we can step back from, we would not have that luxury if we cross certain thresholds like the one presented in this paper. One is a geology paper and the other is biology. The Rothman paper gives a threshhold for carbon we should not cross. Meanwhile on the ground (and in the seas) we see a severe loss of species and fracturing of habitats through our doing (clearing forests for agriculture, overfishing, widespread death related to intensive farming etc) and on top of that you can add the temperature changes driven by our carbon emissions which push species ranges north towards the pole or up the hills and mountains. So it is not either/or in this case but they are both true. What never existed in the past before and during mass extinctions, is the presence of 7.5 billion people. That global stressor is accelerating extinctions and magnifying impacts of even minor changes owing to climate change. Well climate change has produced some pretty major stresses so far. It’s just that we’re still in the early stages at the moment. In any case, over focus on overpopulation as a cause has resulted in short-sighted distortions before. So we should address causes more clearly and cautiously and not lean too much on blanket definitions. Human overpopulation is a generational issue that can be rationally dealt with. However, if you do not also deal with other issues, you cannot address the larger extinction stresses. 7.5 billion people living in a different way would not produce the same mass extinction stress we see now. Blaming population as a singular cause removes the issue of how we plan or manage our societies and our use of resources. Halting fossil fuel burning reduces and/or eliminates the climate change impact. Changes to land management practices, development practices, and reduction of climate change reduces habitat loss. Changes in materials use eliminates or reduces toxic substances. Applying regulations eliminates or reduces overhunting or overfishing. Reducing climate change and altering species transport practices reduces or eliminates invasives. 7.5 billion or more people could well live on Earth without producing the kind of extinction stress we presently see, in other words. It’s harmful activities, at this time, that are the major present enabler and, yes, if you do get millions or hundreds of millions of people engaged in those harmful activities, it does make things considerably worse. What reference do you have for your last statement? Where to begin a basic education on sustainability science and practices? 1. Sustainability studies are intrinsically linked to individual carbon footprints. 2. In other words, the impact of carbon emission is so damaging that most sustainability studies focus on it as the primary factor in sustainability or lack thereof. 3. More in depth sustainability studies include the impacts of toxic substances related to fossil fuel use (petrochemicals). Overall, from the standpoint of sustainability, this is a secondary factor. But one that is still very important. Toxic nuclear material can be lumped into this group. Substitution is the primary solution to this subset of problems. 4. The third sustainability factor is based on responsible use of natural resources. Overconsumption in the form of over-fishing, over-hunting, and mass deforestation have serious negative impacts. The solution to this particular subset is setting aside conservation lands and waters for forest regrowth and natural ocean habitats — both devoid of fishing and hunting pressure by human beings. 5. Farming and land use are related to sustainability in that some practices enhance sustainability while others detract from it. The least sustainable farming practices relate to present industrial meat based agriculture. Vertical farming, indoor vertical farming, various forms of permaculture and regenerative farming all enhance sustainability. 6. Population is only an enabler to lack of sustainability in areas where harmful consumption rates are high or to the extent that base consumption overwhelms resource pools. But when the impact of the worst consumers is 100,000 times that of those who consume the least, as it is today, then the problem is clearly not one of base population alone. People who claim that population growth is the big environmental issue are shifting the blame from the rich to the poor. This is pretty simple logic. And it’s pretty simple to see. Similarly, environmental harm around the world from toxic substances can be linked to the very overconsumption of those products that are produced using toxic substances. Subsistence farmers in overpopulated countries in Africa use far less in the way of toxic substances than the companies who produce chemicals for mass use in the U.S. and around the world. Again, this is not a problem of population but of production and use. And substitution can absolutely reduce the use of toxic substances. Ironically, though countries like the U.S. and those in Europe have traditionally produced the most chemicals, increasing regulatory standards in these regions have somewhat reduced toxic impact. That said, the U.S. is still among the worst, but nations with fewer regulations like China, Russia and parts of the Middle East (where large petrochemical facilities also reside) are the most toxic regions. In understanding the problem of sustainability, we should also understand that conservation of materials, energy, land, and ocean resources are intrinsically linked. Again, we lean more on practices rather than on a base understanding of population in our efforts here. Moreover, land and ocean conservation is a key factor in protecting species. So once you start to grasp base causes, you realize that the problem of sustainability is not so much one of population, but one of how populations act, what they consume and whether they produce a helpful or harmful net impact on the environment. This is especially true when greed involves the considerable irresponsible burning of fossil fuels for self-enrichment and the trapping of others into harmful consumptive patterns in order to enhance one’s own wealth (as we see in individuals like the Koch Brothers today). An example of a counter-trend that has occurred among the wealthy involve investments in sustainability and renewable energy systems by those like Musk and others. Such an innovation and sustainability focus is more responsible, and though the individuals and corporations leading this particular innovation are not perfect saints, they produce far more in the way of systemic sustainability based benefits than those they compete against. “Satterthwaite says that most of the growth over the next two decades is predicted to be in urban centres in what are currently low and middle-income countries. It is not the number of people on the planet that is the issue – but the number of consumers and the scale and nature of their consumption. So the regions to focus on are those that involve high consumption of harmful materials and the worst overall impacts. With a primary focus toward replacing fossil fuel burning with renewables and efficiency. Only when wealthier groups are prepared to adopt low-carbon lifestyles, and to permit their governments to support such a … move, will we reduce the pressure on global climate, resource and waste issues. In other words the primary driver of global unsustainability are linked to fossil fuel use and the various toxic substances that are produced as well as to base overconsumption of certain resources. While population does help to drive overconsumption of certain resources (such as fish), meat based industrial agriculture is the primary driver of a second subset of sustainability stress (which has a lesser impact than that related to fossil fuel burning). All of these drivers are consumption based and can be dealt with by changing consumption, use, and sustainability patterns. Wow! That response is a full-on article, Robert. Great stuff. Bucky Fuller’s work includes some points re: sustainability of many billions, how we aren’t stretched by the numbers but by the inequality of bad distribution of resources. For anyone not familiar with his work, he’s worth checking out for those ideas and many, many other topics. “He was an early environmental activist. He was aware of the Earth’s finite resources, and promoted a principle that he termed “ephemeralization”, which according to futurist and Fuller disciple Stewart Brand, he coined to mean “doing more with less”. Resources and waste from cruder products could be recycled into making more valuable products, increasing the efficiency of the entire process. Fuller also introduced synergetics, a term which he used broadly as a metaphor for communicating experiences using geometric concepts, and more specifically the empirical study of systems in transformation, with an emphasis on total system behavior unpredicted by the behavior of any isolated components. Fuller coined this term long before the term synergy became popular. “During the autumn of 1927, Fuller contemplated suicide, so that his family could benefit from a life insurance payment. “When humanity is primarily illiterate, it needs leaders to understand and get the information and deal with it. When we are at the point where the majority of humans them-selves are literate, able to get the information, we’re in an entirely new relationship to Universe. Some of the past six weeks worth. A major hail storm in Spain a couple of days ago dumped half a metre of ice in fifteen minutes. So intense it trapped cars in the middle of the streets. Wow that is one crazy hailstorm. Even though there hasn’t been an assessment from Agroseguro, it’s safe to say that the hailstorm that hit Maluenda, Paracuellos, and Miedes, in the region of Calatayud, on Monday virtually destroyed 100% of the pear and apple harvest. According to Francisco Ponce, a member of the Regional Executive of UAGA, some farmers have already reported the loss of their entire apple and pear crops, which also have lost their leaves. The weight of the hail also caused damage to the anti-hail nets that protected the trees on some farms. On Tuesday morning, Ponce said, the nets still had remnants of hail. The rainfall registered in Calatayud was 45.2 liters per square meter, in Tarazona 21.2 liters per square meter, and in La Almunia de Doña Godina 16.2. Rainfall was also recorded in Sos del Rey Catolico (11.1 l /m2) and in Ejea de los Caballeros 9.4. According to the Meteorological Agency, there were early morning rains mainly in the province of Huesca, 42.4 liters per square meter in Seira, 33 in Benasque, 31.4 in Bielsa, 28.8 in Biescas, and 22.4 in Ainsa. In Zaragoza the rainfall left 9.2 liters. The increase of anoxic ocean dead zones in recent decades could be a symptom of warming ocean temperatures (along with increased nutrient runoff). The rise of anaerobic/hydrogen sulfide-producing bacteria resulting from oxygen depletion in the world’s oceans has been implicated in the worst of Earth’s mass extinctions. So, to be clear, ocean anoxia is a strong enabler of mass extinction. The primary mechanism is not a subsequent loss of oxygen in the atmosphere — just the various long chain biochemistry changes that occur in the ocean and subsequently reflect on the terrestrial environment and atmosphere. Primary production of toxin-producing bacteria in warmer Earth System environments tends to result in mass loss of oxygen-dependent life — first in the oceans and then on land. The most healthy Earth state for advanced life appears to be a mixed ocean state. The less healthy stratified ocean state can result in major losses to life support capacity. But the primary killing mechanism appears to be the shift back toward Canfield-like Ocean states during major global anoxic events. Thanks, Robert, for making that clear. Deeply amidst a local tragedy the past three daze and only found time for the link to your mucho worthwhile articles re: Canfield Ocean. Thank you, Robert. I’m ok, though gutted. Friend and neighbor was killed early Friday morning. Profound loss for our neighborhood community, felt throughout the city. Will email you with details. Got your email, my friend. I’m very sorry to hear about what’s happened and share your anger at the circumstances — even though I never knew Gus. I hope your efforts bear fruit and that the aggrieved can come together and hold up the memory of one who obviously touched a lot of lives. Thank you, Robert, and thanks for being together on this one, too. Talking about him this morn with folks at another grocery; they’ve a memorial posted there. Someone from yet another grocery was shopping there and overheard us talking; they also expressed sorrow, condolences and concern. I’m not really angry. Saddened, gutted, mourning, and celebrating his life and the connections in my life and others that he enabled and helped foster. Concerned about justice being found in a good, positive way, via a process that I can only observe and allow to do what it will do. Doing my best right now to dissolve that emotion rather than create it. Recalling something Nadine Gordimer, South African novelist/writer, said in the 70s or early 80s regarding dealing with doing away apartheid and justice. Cannot locate it online, so I’ll do my best to paraphrase. Flesh doubts. Wood knows. If you wish to understand evil, you must understand the bark, the roots, the worms of the earth that is the wisdom of an erl-king. Aphid eats leaf. Ladybug eats aphid. Soil absorbs dead ladybug. Plant feeds on soil…is aphid evil? Is Ladybug evil? Is soil evil? “bear fruit” is a perfect choice of words, Robert. Gus was a fruit bearer, quite literally. Started with a fruit and vegetable stand; died on the way to buy fruit for his shops. Thanks for allowing this OT and thank you so much for our great connection, my friend. This is the amount of heat energy required to melt 1 gram of solid water ice at 0 degrees Celsius into 1 gram of liquid water at 0 degrees Celsius. Thereafter, it only takes 1 Calorie of heat energy to increase the temperature of that same 1 gram of liquid water by 1 degree Celsius. The implications of this property of water are obvious. 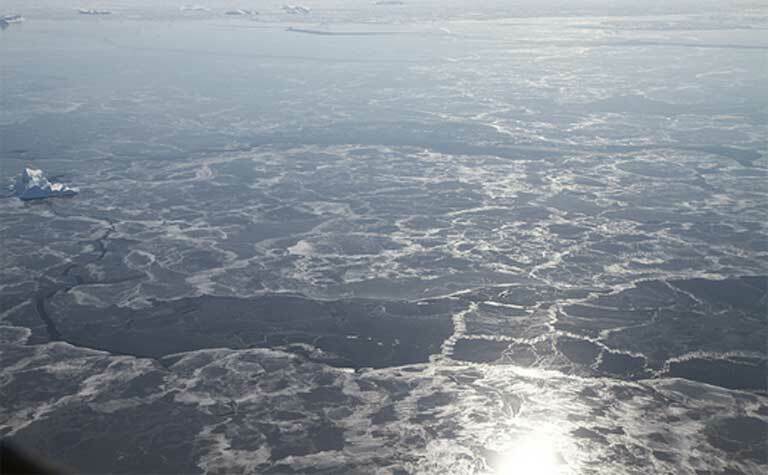 The Arctic sea ice has been acting as a buffer against increasing temperatures. It has also been acting as a huge white shield reflecting 90% of the sun’s energy back into space. That Arctic sea ice that has been protecting us is starting to fail. Without that sea ice, the ice-free waters of the Arctic Ocean will instead absorb 80-90% of the sun’s energy. It’s a classic example of a tipping point. This doesn’t mean that water in the Arctic Ocean are going to skyrocket immediately after all of the sea ice has melted (due to mixing of surface water with cold deeper water), but if you thought that the arctic has been warming rapidly recently, I suspect that you haven’t seen anything yet. At one point in Earth’s history, the Arctic Ocean was a warm environment with alligators and other flora and fauna generally associated with the tropics in today’s climate. The Earth had little or no ice on its surface. Instead of today’s diverse environments, the environment of that time was more homogeneous – It was hot pretty much everywhere. I’ve often wondered what the environment of the mid-latitudes and the tropics were like during the times the Arctic was ice-free. Certainly, these areas would not be as conducive to human and other warm-blooded mammalian animal life. I’ve read that during these periods, mammalian life generally shrank to improve the body mass to surface area proportion which would help them stay cool. An example of the desperate measures that life will go to in order to survive an extreme environment, which is feasible as long as the change in the environment doesn’t happen too quickly. It doesn’t look like that’s the case in today’s day and age of CO2 levels skyrocketing upward at an unprecedented rate. The latent heat of water is important to pretty much every stable state of the present Earth System. The physical potency of water to hold energy is the primary mechanism of geophysical change during climate change events. Saw this recently. It’s pretty amazing how harmful air pollution is overall. •	63% of all human generated carbon emissions have been produced in the last 25 years. •	There is a 40 time lag between when global carbon emissions are produced and impacts are evident in the climate system. •	The large production of CO2 currently underway on Earth started in the early 1990’s soon after the fall of the Soviet Union, the inclusion of China in the World Trade Organization and the rapid growth of economic globalization. •	Current CO2 levels as measured in Mauna Loa, HI have passed 400 parts per million and not expected to dip again in the foreseeable future. The last time Earth had these levels was 3.6 million years ago during the Middle Pliocene when they ranged from 380-450. Summer temperatures in the middle Pliocene for the Arctic were around 60 degrees Fahrenheit, about 14 degrees warmer than now. •	According to the latest analysis of past global mass extinctions, a global temperature above 2.6 degrees C pre-industrial constitutes a high probability extinction event. •	The world is currently at 1.2 degrees C above pre-industrial conditions and rising. •	Best estimates using the IPCC model reports (assuming continuation of current emissions) project the world will reach 1.5 degrees Centigrade above pre-industrial conditions in approximately seven years or the year 2024. 2 degrees Centigrade is projected to be reached by the year 2036. •	The rapid rise of global temperatures currently underway is impacting the world climate system and causing the climate of the Earth is experience “tipping points” for various environmental regimes. One such “tipping point” was documented in 2014 by Rignot, Mouginot et al where the researchers found that the retreat of ice in the Amundsen sea sector of West Antarctica was unstoppable, with major consequences – it will mean that sea levels will rise one metre (or 3.28 feet) worldwide. This disappearance will also trigger the collapse of the entire West Antarctic ice sheet which results in an additional 3 to 5 metre (or 9.8 to 16.4 feet) rise in sea levels. •	The pace of melt for the West Antarctic ice sheet is estimated by the IPCC reports to occur over a thousand years. However, the IPCC reports are consensus based and thus very conservative. There is a high probability the pace of melt could occur over a period of decades depending upon the overall state of global climate temperatures. Prevention of wide spread ice mass loss from the West Antarctica ice sheet requires a return to global climate temperatures that prevailed in the 1970s. •	The scientific community is extremely concerned that cryosphere (regions of snow and ice) dynamics are slow to manifest but once triggered “inevitably forces the Earth’s climate system into a new state, one that most scientists believe has not existed for 35-50 million years. •	The full impact of carbon emissions produced by globalization will be felt beginning in 2030. 55 million years ago, the historical physical record shows a 5 degree C in global temperatures within a span of 13 years. While such a rapid increase is an anomaly, it does show it is possible. Global warming has happened before in the past two million years but the record shows it usually took about 5,000 years to do so. The Earth is currently experiencing a rate of warming at least 20 times faster than this. •	The history record also shows that during the Permian-Triassic boundary period which occurred 250 million years ago, the Earth experienced a temperature increase no different to current climate change in terms of speed. The increase in temperature during this event is associated with a mass extinction event during which 90 percent of marine animals and two/thirds of land animal species died out. The release of methane from permafrost and shelf sediment methane hydrate is deemed the source and cause for the dramatic life-changing global warming. •	Permafrost soils contain enormous amounts of organic carbon. The model results produced for the Intergovernmental Panel on Climate Change Fourth or Fifth Assessment Report (IPCC AR4 or AR5) did not include the impacts of melting permafrost. When permafrost processes are included, the northern latitudes shift from a carbon sink to a significant new source of CO2 and CH4. This results in a rapid acceleration of global warming. •	The arrival of carbon emissions that began in the early 1990s with economic globalization will cause a significant and abrupt upward shift in climate temperatures as we near the year 2030. This shift is hard-wired into the earth system and cannot be reversed with known technology. This abrupt shift in global climate temperatures will very likely result in accelerated climate feedbacks in the earth system. Our world runs a significant risk of exceeding the 2.6 degree threshold that precipitated past climate derived mass extinction events within two decades. Perhaps it is time to alter the language used to discuss what is happening to our planet from “Climate Change” or “Global Warming” to “Climate Emergency”. I agree that we are experiencing the beginning of a long emergency as it relates to climate change. We have the opportunity now to considerably reduce the force of that emergency. And we should do everything we can by rapidly cutting fossil fuel emissions to remove the worst case scenarios from our present future path. However, the primary communication under which the present discussion occurs uses the term climate change. If I want to reach a broader audience, and I do, I use that term. Climate emergency has a narrower audience and the term itself appears to close off a more open discussion. Of course, certain communications should probably include the climate emergency moniker. However, I’m not presently engaged in a game of heading dominance, or term dominance when it comes to climate change. In general, I think there may well be a shift to usage of climate emergency. But that is likely to be more organic over time. My own use of various terms will be based on messaging needs and present understanding of audience disposition. I appreciate your concern. But I think we have a lot more to worry about at this time than simple use of terms. Rapidly cutting fossil fuel emissions to the point of zero in the next year does nothing regarding the carbon emissions already in the climate system “pipeline”. This massive bulge of carbon is working its way through the process. When this bulge starts impacting the earth’s climate system within the next two decades, there will be nothing we can do as civilization itself breaks down. This is the reality we must face. Standing strong against this terrible menace to our future, requires the same time of mobilization within America, and I daresay the entire world, experienced during World War II. Citizens of the Earth must come together now if we are to survive. We need to pull the carbon out of the system. The bulge has to be put on a rapid carbon loss diet. Yes we do indeed need to stop using fossil fuels as soon as possible. But we must recognize the serious threat to our Earth. The planet is severely carbon overloaded now and most of life is destined to perish forever when the environmental impacts of abrupt and rapid climate change occurs. The carbon bulge needs rapid removal and we only have a short period of time to do it. We need articulate voices expressing this harsh and grim reality in a thoughtful and cogent way. I believe you are one of those voices. The impacts of 407 ppm CO2 490 ppm CO2e approx are in the range of 2.1 C warming this Century and 4.2 C warming long term. Such a level of warming locked into the present climate system would produce serious and harmful changes to the Earth Environment as it relates to human civilization over decades through centuries. It’s worth noting that rapid emissions cuts to zero results in a swifter fall out of methane, and other shorter lived gasses. So the CO2e number drops. But the larger CO2 add would, for the larger part, remain after dropping by around 10-20 ppm CO2 due to more immediate ocean uptake. That said, the heightened level in the range of 390 ppm CO2 and 430 ppm CO2e would still result in long term warming and harmful impacts. So yes, we need drawdown on top of present emissions cuts to zero — if we are to prevent seriously harmful outcomes. Human civilization can probably survive this kind of warming. But it would be seriously disrupted due to various bad outcomes and likely would suffer from increased conflict and a number of systemic collapse events. Subsets of civilization may or may not recover from such events depending on planning, resiliency and ability to cooperate to achieve more positive adaptations. Warming in this range, however, is not enough to produce a mass extinction on the scale of the Permian or other major mass extinction events and would require substantial carbon feedback from the Earth System beyond what is likely to occur. So we are not presently locking in to a global mass extinction of that kind — which can be avoided by emissions cuts alone. But according to this particular study, emissions cuts need to be far more aggressive than present planned cuts to remove serious risk of setting off such an event. Also, drawdown cannot be achieved without first cutting those emissions to zero and fully removing the amazing present carbon addition in the range of 11 billion tons per year. This also cannot be done without a complete transition away from fossil fuel burning. The rational potential for atmospheric carbon drawdown is far lower than the present rate of emissions (1 to 2 billion tons per year vs 11 billion tons per year emitted) which is just one of the reasons why an energy transition is the center of gravity for dealing with the present crisis. (This due to the fact that land management and forest additions can only proportionally add to the net carbon sink of the land due to the added factor of decay and re-release of vegetatively sequestered carbon over time). I would caution that future communications do not include loose definitions or conflation. Mass extinction would certainly produce civilization collapse pressure. But other events outside of mass extinction also produce civilization collapse pressure such as sea level rise, more extreme weather, and changes to growing seasons and the global disposition of agricultural productive zones. Mass extinction pressure like that which occurred during the Permian would be more extreme than the impacts experienced in the range of 2 to 4 C warming under present ghg forcing. Furthermore, collapse pressure increases do not necessarily result in inevitable civilization collapse. Individual collapse events may or may not be followed by recovery — which depends, in part, on their severity and in part, on civilization resiliency. Civilization adaptation response, mitigation, and organized recovery, or lack thereof, can and will also factor in to determining civilization resilience to climate change impacts over time. However, the higher the bar in the form of future warming, the more extreme the collapse pressure and the less likely that civilizations will survive the onslaught. Rather than referring to collapse as an absolute variable, which it is not. Millions in Puerto Rico lack electricity, clean water; 10,000s lost homes… and there’s now a record heat wave. What parts of San Juan are like today, five days after #HurricaneMaria pummeled into Puerto Rico. No gas. No electricity. Water everywhere. This article is U.S.-centric, but offers a glimpse into how fruit, nut and vegetable supplies will soon be affected by Hurricane Irma’s damage in Florida. Puerto Rico is a tremendous and very serious disaster and likely to get much worse if food and water and proper hygiene are not available soon. Of all the heartwarming photos I have seen this relatable image, a traffic jam created by everyone trying to snag a rare cellular signal. People want to communicate badly to loved ones. The response or rather lack of response from Trimp is criminal. “Brownie, you’re doing a heckuva job” is dwarfed by this clown/dotard/bum’s lack of interest in the tragedy, especially relative to his overwhelming obsession with peaceful protests by athletes and his insanely, increasingly dangerous tete-a-tete with Kim. The date on the Maria image is incorrect; it’s the 25th. Another grim conclusion on ocean plastic pollution. And no reason the think other brains are differently affected than fish brains. “Our study is the first to show that nanosized plastic particles can accumulate in fish brains,” says Tommy Cedervall, a chemistry researcher at Lund University. More on earthquakes following hurricanes. The article below says a drop in pressure above can trigger volcanoes. Now we have had three significant earthquakes in Mexico following three Cat 5 hurricanes in the Caribbean. Could a similar mechanism also apply to earthquakes? Not much of a stretch to think rock melting might have something to do with fault slippage, though it would would have to be quite rapid, since the earthquakes have come within days of the Cat 5s. ‘Unloading’ of Earth’s surface caused a rise in eruptive activity. Volcanoes might be more sensitive to pressure from above than thought, say researchers who found that a rapid drop in the level of the Mediterranean Sea millions of years ago in turn set off eruptions nearby. Rocks deep within Earth can partially melt when the pressure above them drops. This can happen when the rocks are uplifted by geological forces, or when the weight pressing down on them lessens, as happens when an ice sheet melts or when seas dry up. A team led by Pietro Sternai at the University of Geneva in Switzerland studied how sea levels changed when the Strait of Gibraltar that connects the Mediterranean to the Atlantic Ocean temporarily closed around 6 million years ago. The researchers modelled how the subsequent evaporation — during which the sea surface dropped by more than a kilometre — affected the weight pressing down on the rocks below. They then catalogued eruptions in the region at the time and found a pulse of extra events towards the end of the drying up period, which they link to the unloading of the surface. There you have it, nothing to worry about. Earth gets hot, Earth sprouts volcanoes to provide shade with their natural cooling mists. Life goes on as per usual. Sarcasm aside, we have seen that strong hurricanes do register on seismometers. Harvey “dented” parts of Texas by as much as an inch with the immense water weight. Melting ice causes other land to spring upwards. Fracking is believed to induce lots of mini quakes. I’m no geologist but I imagine these collective perturbations could exacerbate fault lines and the like. Found several articles pertinent to this topic; will post them at the bottom of the thread. 8+ weeks left in hurricane season and Puerto Rico is now dreadful exposed to near-future storms without an most-important warning system. “Hurricane Maria and its 100-plus-mph winds demolished the main weather radar that forecasters use to monitor storms in Puerto Rico. As of yet, there is no known time frame for replacing the radar while more than two months of hurricane season remain. 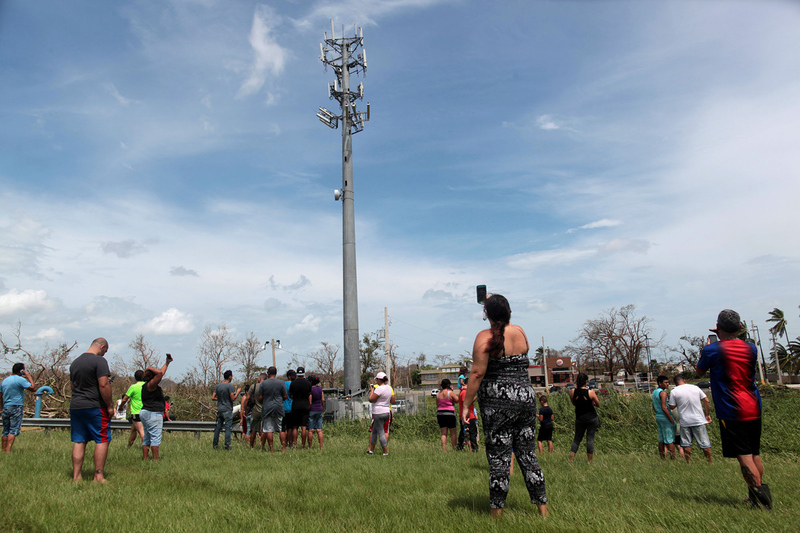 The radar, located in the mountains of south central Puerto Rico — about 20 miles from San Juan, scanned the sky in all directions and signaled to forecasters exactly where rain was located, how heavy it was and where it was headed. It could also detect damaging winds. But just before 6 a.m. Sept. 20, it abruptly stopped operating just as the Category 4 behemoth and its violent winds slammed into the island. This is an excellent frame for the impacts of climate change that includes Civilizational collapse, mass extinction and individual collapse events. Question: are there more waypoints on this list. And is there a rule of thumb for how many degrees C to get there?? There are quite a few. It just depends on how detailed you want to get in describing the crisis. I’d describe present collapse pressure as low to moderate in the global context. We presently experience major events associated with climate change which may cause collapse events for cities, regions, or smaller, more marginal nations. Sea level rise threatens island nations, the lowest lying coastal communities, and the more marginal regions like Bangladesh and coastal Africa. Drought generates higher than typical stress and results in increased risk of crop disruption for at risk regions. This added stress results in a major destabilizing influence for places like the Middle East. Monsoonal to dry season moisture flux is higher than normal. Dry season droughts are more intense, monsoon season floods are generally more intense. The result is increasing disruption. 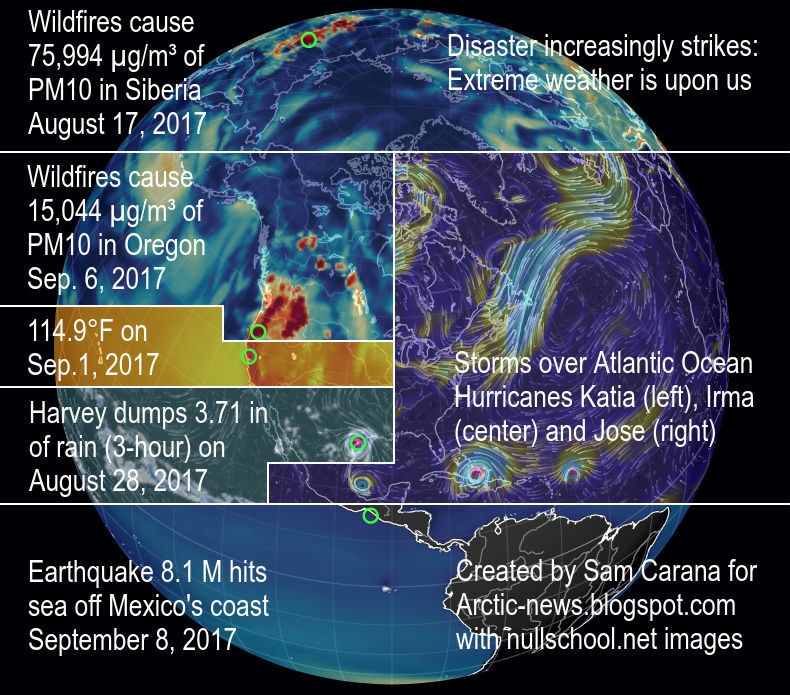 Extreme weather is more intense at the extremes — worse heavy rain events, more Category 5 hurricanes, worse hail storms in the worst thunderstorms, and there is probably a trend of worsening thunderstorms overall. As we’ve seen, more of these storms are city-wrecking and region wrecking affairs.So the overall disruption is higher. Human migration and displacement is on the rise due to all these various issues. This is a higher sea state for the global community. Some nations may go under water as a result. And even the major nations experience increased difficulty. But we are still in the earlier, easier phases of global climate change. Get into the 1.5 to 2.5 C range and the collapse pressure will shift to moderate in the global context with the potential for singular catastrophic outlier events on the increase. One way in which collapse scenarios become more likely is where the frequency of increasingly large superstorms increases the likelihood of storms affecting infrastructure hubs – ever increasing reliance on just-in-time supply chains, and the lack of ‘redundancy’ in logistics chains and an increasingly networked infrastructure makes these systems fragile and the effects of their failure very widespread (e.g. Houston as oil supplier to eastern US) – if several hubs were storm/quake damaged simultaneously…. That’s what you’d call a cascading effect from a catastrophic series of related events. If, for example, you get a swarm of category 5 hurricanes hitting the U.S. East and Gulf Coasts, you end up with a major disaster that will produce regional scale collapse pressure with a multi-year and trillion + dollar recovery requirement. If that kind of thing happens again and again, you can see how difficult that would be to manage. We can’t predict those kinds of events. But what we can say is that it becomes possible for similar kinds of catastrophic events to the one described above (albeit possibly too simplified) with warming. Big chunk of Pine Glacier broke off again. 2013, 2015 and now 2017 has such an event occurring. Seems to be retreating. 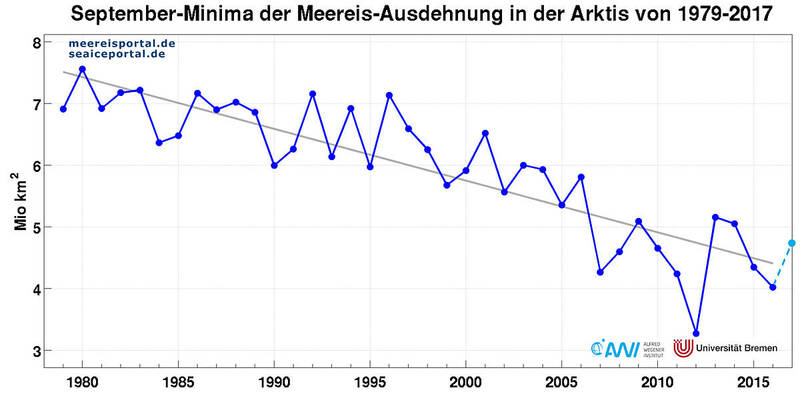 Thanks for the link, the Amunsen Sea Embayment is the weak underbelly of the West Antarctic Ice Sheet. Thwaites Glacier there is huge, 120km wide, and its flow dumps 500Gt of ice a year, 50 percent more than its equilibrium rate. If if back off its stabilizing sill . 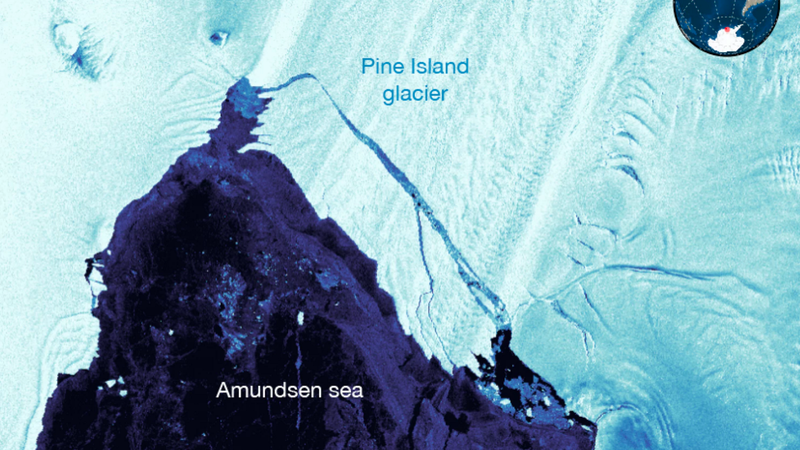 . .
“…There’s something unusual going on with Pine Island Glacier. It’s melting differently from other parts of Antarctica. Instead of breaking apart from the sides, the glacier is forming cracks in its center. These central cracks appear to form under the ice. Scientists think this unusual behavior is due to warmer ocean waters. It could also be causing more rifts to form more often. If this pattern continues, it could expose ice on Antarctica that will raise sea levels. Scientists aren’t sure if or when this could happen. If you look at things like the rate of loss of sea ice, shrinking glaciers and ice sheets, melting permafrost and changes to the northern polar jet stream and deep ocean circulation, it could be argued we are seeing the beginning of such changes now. “Researchers on an expedition led by polar explorer Pen Hadow have discovered plastic pollution lying on remote frozen ice floes in the middle of the Arctic Ocean. The discovery shows how far plastic pollution has spread, prompting fears that new plastic waste is flowing into the Arctic as the ice melts due to climate change. The thaw is also releasing plastic pollution long trapped in the frozen ice into the Arctic environment….. The Arctic Mission team was surprised to discover blocks of polystyrene in areas that are many hundreds of miles from land and were until recently covered by ice all year round. Two large pieces were spotted on the edge of ice floes between 77 and 80*N, in the middle of the international waters of the Central Arctic Ocean, within 1,000 miles of the North Pole…..
Tim Gordon added: “Finding pieces of rubbish like this is a worrying sign that melting ice may be allowing high levels of pollution to drift into these areas. This is potentially very dangerous for the Arctic’s wildlife.”…. ” – The decline of Arctic ice didn’t set a record this year, with sea ice extent coming in eigth after record-setting 2012. On September 13, at the summer minimum, sea ice covered 4.64 million square kilometers; that’s 1.25 million square kilometers more than 2012. – However, that fact was overshadowed by another: experts say what matters most in the Arctic is the total volume of ice — a combination of thickness and extent. 2017 saw summer volumes among the lowest ever recorded. – The Arctic set still another record that concerns scientists: no other 12-month period (September 2016 to August 2017) has had such persistently low sea ice extent. The Brazilian government has revoked a controversial decree that would have opened up a vast reserve in the Amazon to commercial mining. The area, covering 46,000 sq km (17,800 sq miles), straddles the northern states of Amapa and Para. It is thought to be rich in gold, iron, manganese and other minerals. From the moment President Michel Temer signed the decree in August opening the reserve to commercial mining, it was widely condemned. Activists and celebrities voiced concern that the area could be badly compromised. One opposition senator, Randolfe Rodrigues of the Sustainability Network party, said at the time that it was the “biggest attack on the Amazon in the last 50 years”. Following the criticism, the government revised the decree, prohibiting mining in conservation or indigenous areas. But a court later suspended the measure altogether, saying any change to the reserve’s status had to be considered by the Brazilian congress. On Monday, the government decided to scrap the decree. It said it would reconsider the issue in the future, in a wider debate. “Brazil needs to grow and create jobs, attract mining investment, and even tap the economic potential of the region,” said the Mines and Energy Ministry in a statement. The BBC’s South America correspondent Katy Watson says this is a victory for environmentalists and a climb-down for the government. Back to the Climate/hurricane disasters, I don’t remember if it has been posted before but well worth reading. As noted the media is focusing on the heroic to be lauded citizen efforts, but ignoring the real heroes who have been quietly preparing for such events even though Congress is demanding they cease considering and planning for the effects of Global Warming. Well worth reading, the article goes on to list and identify the massive resources and co-ordination involved, even to deploying an E-3A Sentry AWAC for coordination and traffic control. Hot on the heels of the billowing dispute he single-handedly provoked over African-American sporting figures protesting racial inequality during the national anthem, Trump launched another provocation on Monday night with a belated and lacklustre response to the Puerto Rican disaster. In a series of three tweets he effectively blamed the islanders – all of whom are American citizens – for their own misfortune. “Several thousand residents in west Houston living near the reservoirs saw their homes inundated, or existing water levels rise and stay high for days, when the US Army Corps of Engineers opened gates to release water into Buffalo Bayou in an attempt to manage the flow and prevent even more widespread flooding. “It wasn’t even raining at all and it just kept going up and up,” said Weber, the apartment complex worker. Releases are expected to continue for three or four more weeks and the decision is now the subject of legal actions, with an initial hearing scheduled for 8 October. “It’s not a case where we’re alleging that they were negligent and we have to prove that they made mistakes, or anything like that,” said Derek Potts, whose law firm has filed a class action lawsuit. “It’s much simpler than that. “…Trump’s decision to start this feud with NFL players — and professional athletes more broadly — is a telling window into how he views (and uses) the power of the presidency: To divide, not to unite. To forever focus on scoring political points, to please and placate the political base that helped elect him to the White House. To always, always, always look for where we disagree — and where those disagreements can be exploited for his own gain…. He seems bent on reminding us on what divides us rather than what unites us…. Instead of rallying the country behind the 3.4 million American citizens who live in Puerto Rico, Trump has instead sent more than a dozen tweets about the NFL and the alleged lack of patriotism demonstrated by players who kneel or sit during the National Anthem…. Trump ran as a divider, not a uniter. He won that way — offering safe harbor for people who had long resented politicians who told them they had to accept those who didn’t look like them, sound like them or think like them…. ….being president bestowed on you the responsibility of always trying to take the high road, always doing the right thing for the country rather than the best thing for your party or yourself. Trump has flipped that approach on its head. He does what’s good for him first, then what he believes to be good for the GOP and, finally, what’s good for the country. It’s come this far rather than far-fetched. “Officials in Southern California have reportedly told local agencies to take the threat of a nuclear strike from North Korea seriously. 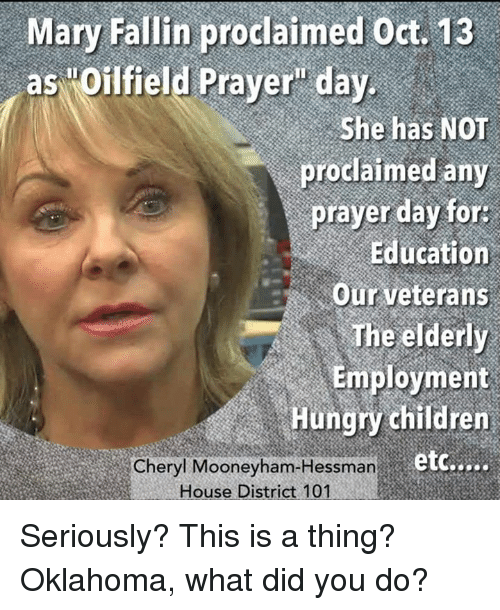 *Last year in 2016, Governor Mary Fallin declared October 13th, “Oilfield Prayer Day,” asking the citizens of Oklahoma to “pray for the oil.”…..Sierra Club is organizing a protest! Wow. You can’t make this stuff up. 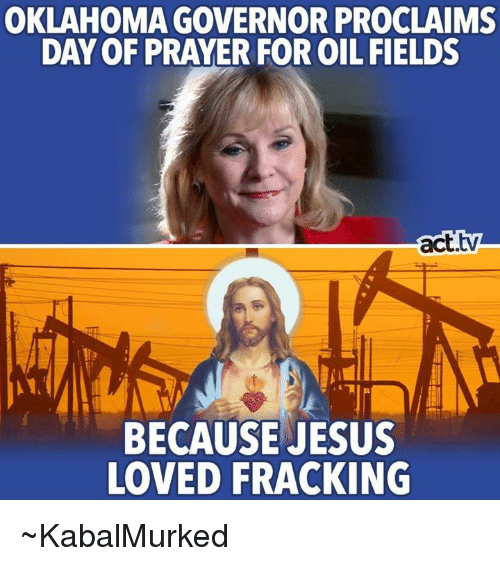 How about praying that they dry up? Bali’s Agung seems to be about to erupt. A bit of context re: “unprecedented seismic activity”. There’s not much of a data set; it’s only been documented in recent decades and it’s a relatively active volcano on the very active ‘Ring of Fire’. The sun is hotter now, according to the astrophysicists. Even if this extinction threshold was characteristic in the past, our threshold might be lower now, maybe, I think. Don’t know. But we shouldn’t bet the planet on a mathematical analysis, no matter how sophisticated. Doing sophisticated math based on the assumption that the earth system has a characteristic extinction threshold might lead to the GIGO effect – Garbage In equals Garbage Out. It’s a very sophisticated analysis based on sparse information – another warning sign, IMO. Still, great paper, great analysis. Wonderful list of Carbon Isotope Excursions. But we can’t bet the survival of the earth on a mathematical analysis. The sun is hotter now. This characteristic threshold might be lower now. Hurricanes’ water muscles the Earth. 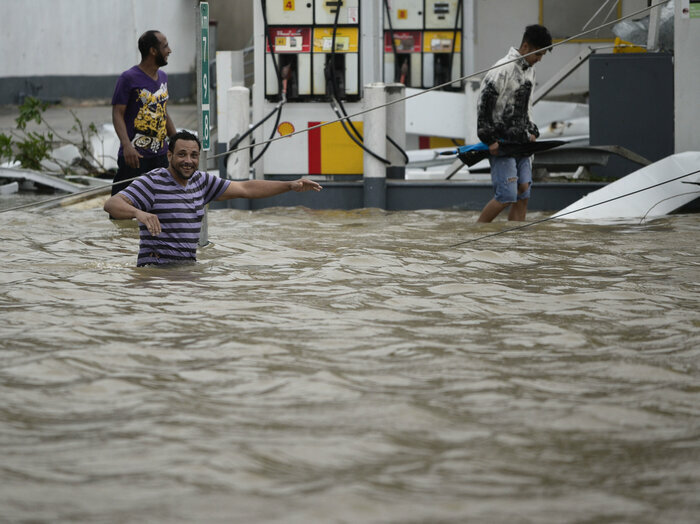 “A California geophysicist says the sheer weight of the torrential rains brought by Harvey has caused Houston to sink by 2 centimeters. Text below; images and animations found at the page via link. ‘Did Sandy trigger major earthquakes off Vancouver? “Sandy was a massive storm, packing an enormous amount of energy. According to Jeff Master’s Wunderground blog, she carried the energy equivalent of five Hiroshima sized nuclear bombs. Excerpts below; full article worthwhile read. “…all 44 active nests belonging to Everglade Snail Kites at Lake Okeechobee were lost due to the storm’s high winds and high rainfall. Lake Okeechobee is Florida’s largest lake and a stronghold for the endangered Everglade Snail Kite, a Snail Kite subspecies that can only be found in America’s Everglades. Post-Irma assessments of the lake indicate that many adults and juveniles in the area survived the storm, but any nests with eggs or flightless chicks were destroyed. The sun is maybe 2% hotter now than it was during the End Permian. Hansen once claimed that this 2% was equivalent in forcing to 1000 ppm of CO2. I didn’t see the author of the original MIT paper taking that into account. I’m really concerned that the conclusion he is coming to about a characteristic threshold for mass extinctions may no longer be valid, with the sun being hotter and brighter now. It is conceivable to me that we might get more mass extinction with less carbon, these days, as opposed to the End Permian and other past mass extinctions. I don’t doubt the math is done correctly. What I doubt is that the math matches the physics of our new situation. One thing that concerns me about this list is that these carbon isotope excursion events are becoming closer and closer to one another in time. This could just be the way the list is constructed, because the geological information for events closer to the present is better. Or it could be because these events are becoming easier and easier to trigger. I’ve seen papers that claim that weak astronomical forcing due to orbital perturbation was sufficient to create the series of events following the PETM in the Eocene, for example. Halfway to mass extinction? I hope we’re only halfway. It’s impossible to claim we’re any way, half or quarter or whatever, to mass extinction until we reach mass extinction. Halfway is only half of a full and we’ve no clear idea what or when that might be. The important thing, reverse the direction of the course we’re on. Yes, reverse the course we are on. No, these hyperthermal mass extinction events are characteristic events, complete with massive carbon release possibly from the methane hydrates, anoxic oceans, and huge loss of biological diversity. In terms of loss of individual organisms and species, we’re just getting started. But with our fossil fuel use, we might be halfway to a characteristic extinction threshold with regard to carbon addition to the oceans, is what the author is saying. My concern is that because the sun is hotter now than it was in the past, we might be closer to that mass extinction threshold than the author of the original paper thinks. We might already be at that threshold, because the sun is hotter and brighter now than it was in the past. Being a technological species, we don’t have to wait 100,000 years for the rock weathering cycle to put carbon back underground, though, as apparently happened with past hyperthermal mass extinction events. Using BECCS (Bio-Energy with Carbon Capture and Storage) and in situ mineral carbonation, we can actively put carbon back underground, ourselves. But BECCS is rate limited – we can only put carbon back underground at a limited rate. So, I believe myself that if we start now, we can head off mass extinction, by actively putting carbon back underground using BECCS. But we have to get started, ASAP. If you (or anyone else) have a link to more information on this equivalence or a link to a text or youtube lecture where Hansen mentions this it would be much appreciated. TIA! Don’t have access to the full text of the book to confirm that. I saw him make this claim during a video interview about his book, but haven’t been able to find that video. That’s the exact text from those pages. If one has the book handy, most relevent pages are 229 through 236. It looks like what Hansen was saying was that a 2% change in solar irradiance is equivalent in forcing to a doubling of CO2. The 1000 ppm figure was just an example. Now at discussion meeting on #RShyperthermals. First discussion (unsurprisingly) is on what hyperthermal means. Discussion of #RShyperthermals among scientists. 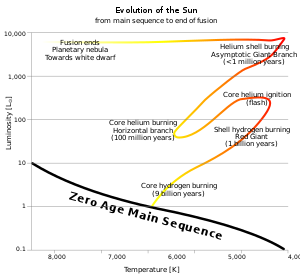 Defining hyperthermals. Including lesser events — yes or no? And a vote on whether or not to rescind a scientific paper that apparently inaccurately identified a 13 year PETM temperature spike. I remember that paper – it claimed that the duration of the first rapid carbon isotope ratio dip of the PETM was 13 years, because of banded strata that the authors interpreted as yearly banding. Other scientists including Dickens disagreed, and now most scientists agree that the 13 year claim was wrong, I think. Interesting info on that Twitter thread about the Royal Society hyperthermals meetings. But so far as I can tell we have to wait for the papers to be published to get more complete information on those meetings. It would be nice if they would publish the presentations on YouTube, if the video was recorded. If anyone knows of a way to get information on the papers and presentations quicker than that, please let me know. This tidbit is scary: “Appy Sluijs: PETM carbon isotope excursion lags onset of warming by 2-3 kyr. Massive carbon release as feedback to warming.” Wow. Methane hydrate dissociation?CO2 coming back out of the oceans? Bad implications for our future in that, if we don’t have a robust way to put carbon back underground like a worldwide BECCS system, I think. Have we already triggered a massive carbon release two to three thousand years in our future with our current fossil fuel use? We know a bit about solar dimming caused by industrial aerosols of the recent past decades. Now that China and other coal-burning nations are shuting down coal power plants, will we lose the dimming effect and actually see temperatures increase more rapidly? I think so, yes we risk losing the dimming effect from sulfur aerosols. The luminosity of the sun is increasing, but only over millions of years. On short time scales, as you know, it’s essentially constant. One way to deal with global dimming might be to add sulfur to the fuel for BECCS power plants. Then, as we draw down CO2, we could also ramp down sulfur aerosols. There might be better ways to deal with global dimming, though, involving particulates that don’t cause acid rain. The planet itself will help sequester carbon, of course, if we can just stop our fossil fuel use, as you know. So BECCS might not be absolutely necessary, don’t know. But I think all our efforts to slow and stop carbon addition to the atmosphere and oceans work better with BECCS.